It took us a little longer to get the photos of this year's show posted because we had so many more to go through. Some excellent professional photographers took some shots for us this year and we are pleased to share some of them with you. Thanks to Jeff Hage, Paul Jendrasiak, Seth Thompson and Anthony Nowack. What a great night. Thanks to everyone who attended Jake's Music Festival 2011. Also thanks to our sponsors, volunteers, staff and especially the performers. We raised over $5,000 for diabetes research. We'll be posting photos and videos soon. In the meantime click here for a review by John Sinkevics of the Grand Rapids Press. Despite the title of this post we promise no Broadway show tunes tomorrow. However, we will have almost every other kind of music at Jake's Music Festival. There will be folk, funk, rock, and roll, electric violin, accordion, singer songwriters, and a man wearing a kilt. Where else can you go for this kind of musical diversity? The doors open at 2:30 and the music starts at 3:00. The last band is scheduled to hit stage at 10:00 p.m. It's eight hours of solid music. So be one of the cool kids, come to the show at the Wealthy Theatre Saturday (tomorrow) to see the best that local music has to offer. AND help us raise money to find a cure for Type 1 diabetes. For the full show schedule click on the "2011 Show Line-up" link above. We have quite a number of items for the silent auction. 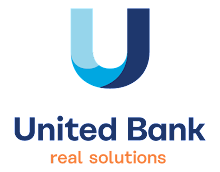 Thanks to these local companies for their donations. Grand Rapids Art Museum, Eastern Floral, West Michigan Whitecaps, Twisted Rooster, Grand Rapids Civic Theatre, Grand Rapids Symphony, San Chez, Smooch Beauty Boutique, Grand Rapids Public Museum, Grand Rapids Children's Museum, John Russo's Wine Warehouse and Deli, From the Heart Yoga, Robinette's Gift Barn, and Grand River Grocery. We'll also have a music package featuring CD's from the bands playing at the festival and a framed festival poster. The Wealthy Theatre will have adult beverages, soft drinks and snacks available for sale. There are also plenty of restaurants within walking distance if you want to take in dinner before, during or after the show. Links to the various media interviews we've done this week are now in the link session on the right. Since it's "news" you may have to scroll through the station web site to find the clip about Jake's Music Festival. Edit: Added link to Fox 17 interview and John Sinkevics column. Added TV 13 coverage. 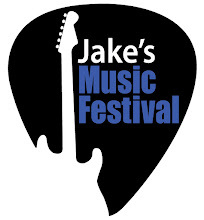 Jake's Music Festival takes off at 3:00 p.m. next Saturday. But if you can't wait that long we will be all over the media spectrum this week. Here's a schedule of radio, TV, internet and newspaper appearances coming up. Fox 17 Morning News - 4/13 8:15 a.m and 8:45 a.m.
WGVU 88.5 FM Morning Show with Shelly Irwin - 4/14 9:30 a.m.
WYCE 88.1 FM Local Resonance - 4/15 11:00 a.m.